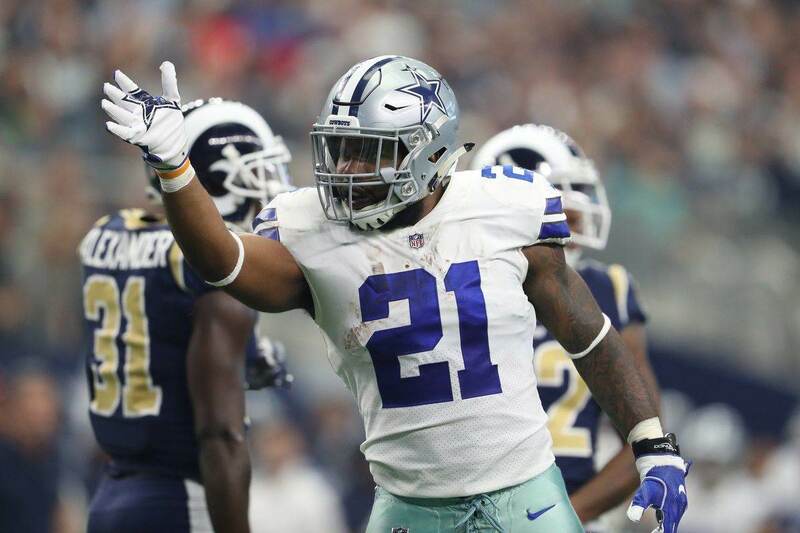 For several Dallas Cowboys, 2018 will be the fourth and final year of their rookie contracts. Coincidentally, this could be a big season for the draft class of 2015 as the Cowboys roster has undergone some major changes. 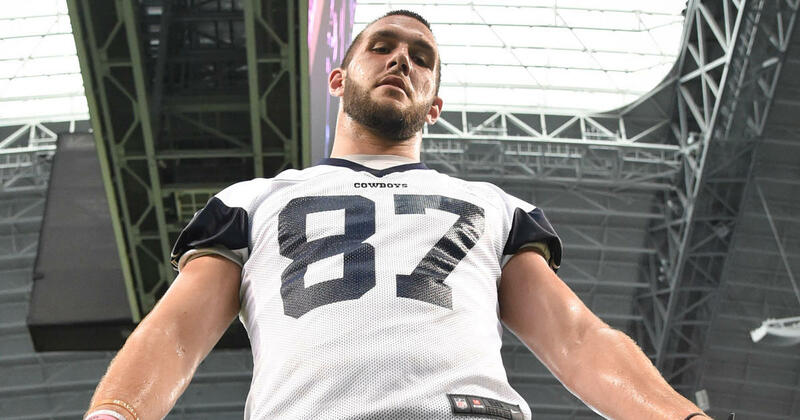 No player will get a bigger opportunity than Tight End Geoff Swaim, who is getting the first chance at replacing Jason Witten with the starting offense. The former seventh-round pick only has nine career catches, but those were hard to come by with the Hall-of-Famer never leaving the field. While he's getting veteran deference early in OTAs and minicamp, Swaim will have to earn the starting job before Week One. The athletic Rico Gathers and rookie Dalton Schultz will also be in the mix, and even a dark horse like Blake Jarwin could make noise. It's wide open at tight end right now. But these early reps as the starter are valuable, giving Geoff even more edge than his three years of experience already did. Swaim has flashed some receiving ability in the past and is a proficient blocker, which is critical for the run-focused attack Dallas' offense uses. At this point it's his job to lose. If a seventh-round pick can be a solid starter for you, that's a huge boon for the overall quality of your draft class. But Geoff Swaim isn't the only guy that could make a leap this year. While he's already been a starting safety for two seasons, Byron Jones' move to cornerback might take his career to another level. That is because of the arrival of Kris Richard as the Defensive Backs Coach, who brings the winning strategy of using bigger athletes at corner from the Seattle Seahawks. Dallas has already picked up the fifth-year option on Jones' rookie deal, meaning he's locked in through 2019. That decision, which will pay him over $9 million next season, speaks to the potential the Cowboys see in Byron at corner. 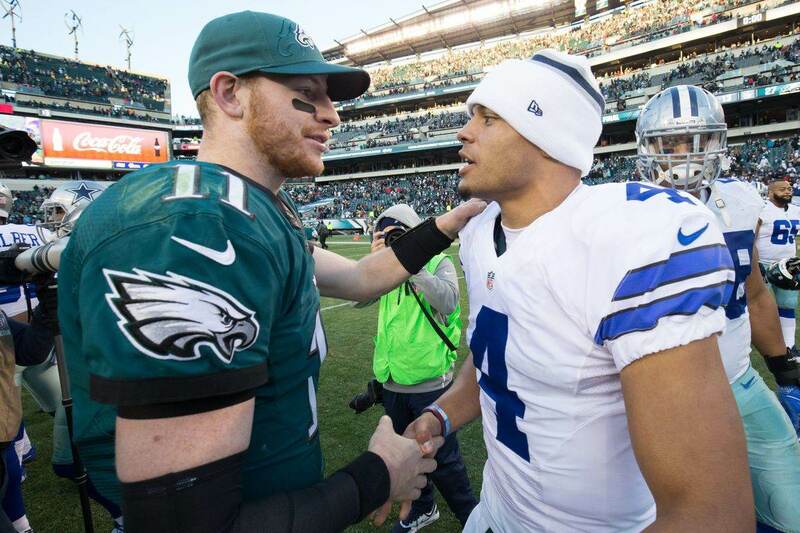 Byron's return to cornerback coincides with the rise of the Cowboys' pass rush. If DeMarcus Lawrence keeps excelling and the defensive front continues improving in its pressure on quarterbacks, guys like Jones will get increased opportunities to make plays. While Chidobe Awuzie and Jourdan Lewis are the hot new names at CB, Jones has just as much talent and potential. He's still just 25 and will hopefully be in the best position to succeed that he's had so far in the NFL. Unlike Byron Jones, who has had a major role almost immediately since entering the league, Defensive End Randy Gregory has been almost invisible since he was drafted. That is largely due to his time away from the game due to suspension. But with Gregory's reinstatement to the league probably imminent, the athletic pass rusher could finally be a huge addition to the Cowboys defensive line. Randy is the edge rusher the Cowboys have needed for some time, with the agility and speed to take on NFL left tackles on the weak side. With DeMarcus Lawrence now a bonafide threat on the other side, Gregory may not see hardly any double teams or help in his pursuit of opposing QBs. Of course, Randy has to prove he can still play and the long absence didn't do permanent damage. But given all the work he's put in to get his life back in order, I'm not worried about Gregory putting in the effort to maximize his football potential. Even though guys like Taco Charlton and Kony Ealy are around, they're all best suited for the same role that DeMarcus Lawrence plays. If he's still got the talent that made him one of the top prospects in the 2015 draft, Randy Gregory is the best right end Dallas has. He could wind up being their biggest addition of the offseason. While he wasn't technically a draft pick, La'el Collins joined the Cowboys in 2015. After several years of shifting spots on the offensive line, he should be returning as the right tackle and that could be big for his development. Collins was solid last year but moving to a new position, and some health issues, were evident in his play. 2018 gives him a chance to finally build on what he's learned rather than having to relearn technique. Remember, La'el was a right tackle in college. He was considered a potential first-round talent in the 2015 class before an undetermined legal problem kept him from being drafted. 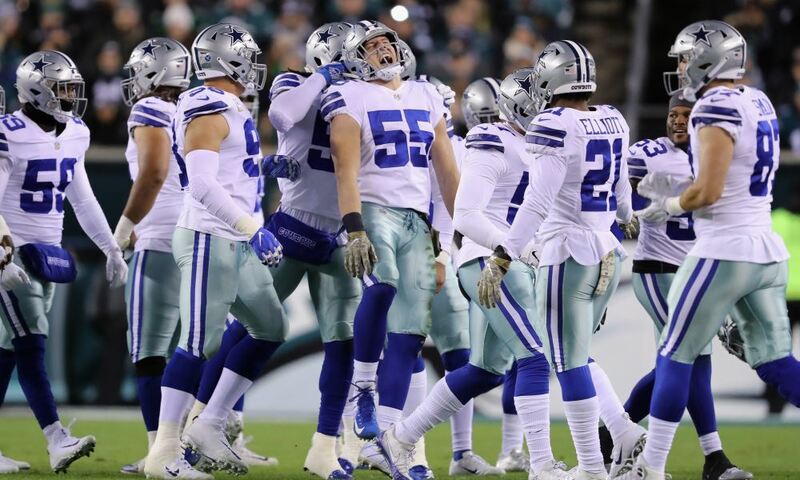 If this new stability and hopefully a return to good health help Collins to take it to the next level this year, the already-great Cowboys offensive line will be truly special. Doug Free was better than he got credit for, but La'el has the potential to be just as good as his Pro Bowl teammates. If Collins delivers, this may truly be the best offensive line in Cowboys history. While those four players will get the best opportunities, even guys like Damien Wilson or Chaz Green from the 2015 class are still hanging around. Wilson is always just an injury away from major responsibility at linebacker, and Green was getting first-team reps when Zack Martin was still sitting out during contract negotiations. Clearly, this is a big season for this 2015 rookie class. Some guys like Gregory and Swaim are fighting for their NFL futures, and others like Jones and Collins are looking to prove they deserve their big salaries. If the the Cowboys are going to reach their championship goals this year, these young players have to deliver.